There are thousands, maybe millions, of guacamole recipes out there, so what makes me decide to add another entry to the guac canon? I think it’s delicious, of course, but what sets this recipe apart is that I have created it “per avocado.” That’s right — you can make guacamole with just one avocado for yourself or with 5 for a group with this recipe. It’s very small (about golf ball size, sometimes a little larger) and the skin is bright white. 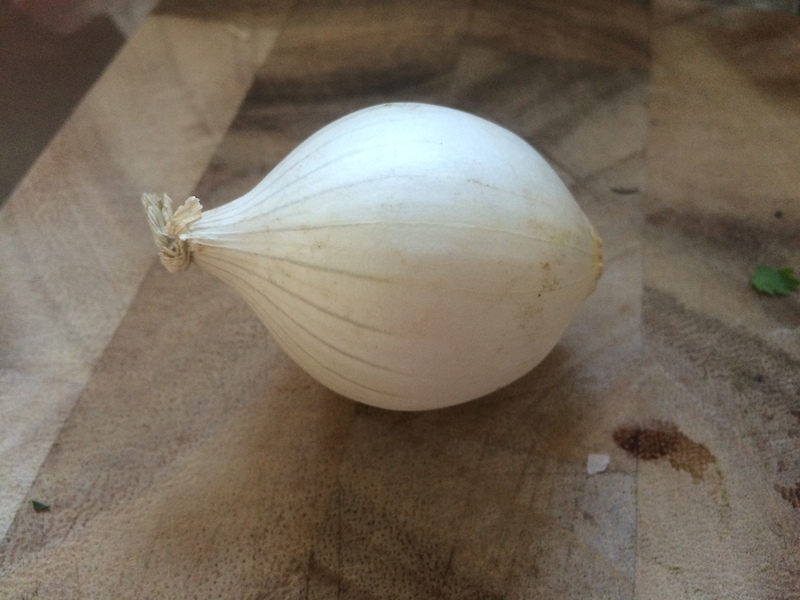 If you can’t find that onion, any sweet white will do. 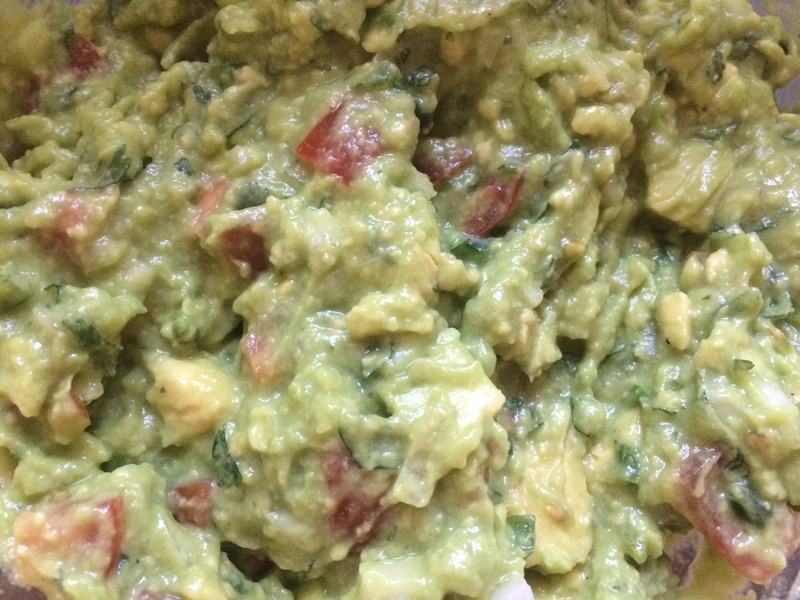 As for preserving the guacamole, this recipe usually stays pretty green for about 2 days. But I have been able to keep it longer with this weird trick: Using the back of a spoon or spatula, flatten out the top of the guacamole. Gently cover in a layer of water (pour it out from a glass, straight from the faucet is too much pressure) and cover in plastic wrap. The layer of water prevents any air from getting to the avocado and you simply pour it off when ready to serve. You may loose a few cilantro leaves in the water, but it doesn’t really affect the taste. 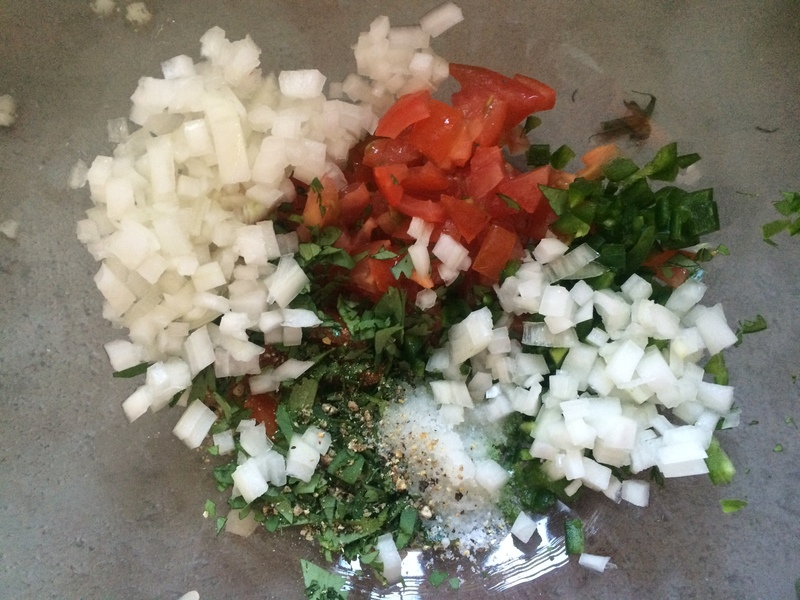 Mix all ingredients in a bowl and mash up to desired consistency (I use a fork and the side of the bowl as leverage). Taste and adjust levels of salt and lime juice as needed.